When Nissan chose to discontinue the Juke, the door was open for the Kicks to arrive and give us a subcompact crossover SUV that brings an abundance of what we want to enjoy on the road. This new SUV is now in its second year and it offers you the expressive style you want, brings in the technology you’re looking for, and the features that will offer you the drive you want. This SUV not only brings you more of the qualities you’re looking for, but it also has the affordability you need on the roads in Westwego, LA. 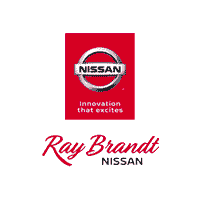 Let the team at Ray Brandt Nissan help you have the new Nissan Kicks that you’ll want to drive and enjoy every day. This is where you’ll realize that you can have everything you want in a great SUV at a price that’s extremely affordable. Open the doors and look around the cabin of this SUV before you take it for a test drive and you’ll see that it’s the right choice for you to have the drive you’re looking for every day. Then Nissan Kicks hasn’t changed much for 2019, mostly because it’s a new model for the 2018 model year and didn’t need any improvements made. You’ll realize this when you take the Kicks out for a test drive in the Westwego, LA area and let it be the SUV that has the drive and the qualities you want to experience every day. Get behind the wheel and see just how much fun and active this small and enticing SUV can be when you allow it to help you get the things done that you need to accomplish. Do you love to listen to music when you drive? If so, let the Kicks you choose offer you the sounds of the eight-speaker Bose Personal Plus audio system that comes to you in the SR trim. This is the trim you’ll choose when you want more for your drive because it offers you LED headlights and accent lights, black side view mirrors, a leather-wrapped steering wheel, a rear spoiler, dark chrome grill accents, and the sporty SR appearance package. Make this the model that you choose for your drive and experience a fantastic ride today. It’s not often that you can spend only a little bit of money and have a fantastic drive on the roads every day. When you see the team at Ray Brandt Nissan, the Kicks is the SUV that allows you to have this experience. Take a look at this new model when you see this dealership team and make this the right vehicle for you to have the drive you’re looking for on the roads near Westwego, LA today. You’re going to be impressed with what the Kicks has to offer when it’s time for you to enjoy your daily drive.